Hey, did you see that? Look over there! American Pika up on the Beaver Mountain! 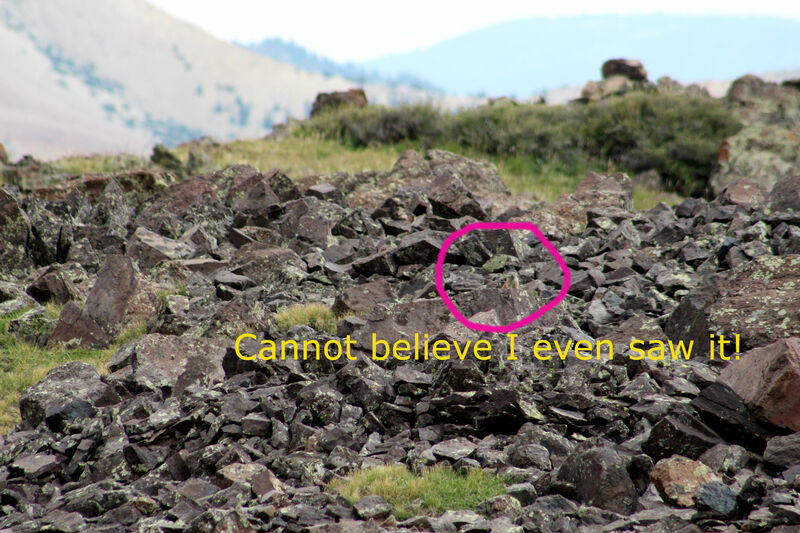 Better late than never…When I saw the post on Facebook by the Utah Division of Wildlife Resources about a Mountain Goat watch on the Beaver Mountain in the Tushars, my heart sank…it was mid-way the time scheduled for it. Nevertheless, we loaded up and went anyway. Wow was I ever glad we did! Little did I know I would meet my very first American Pika! Up in the Tushar Mountain range to look for Mountain Goats. 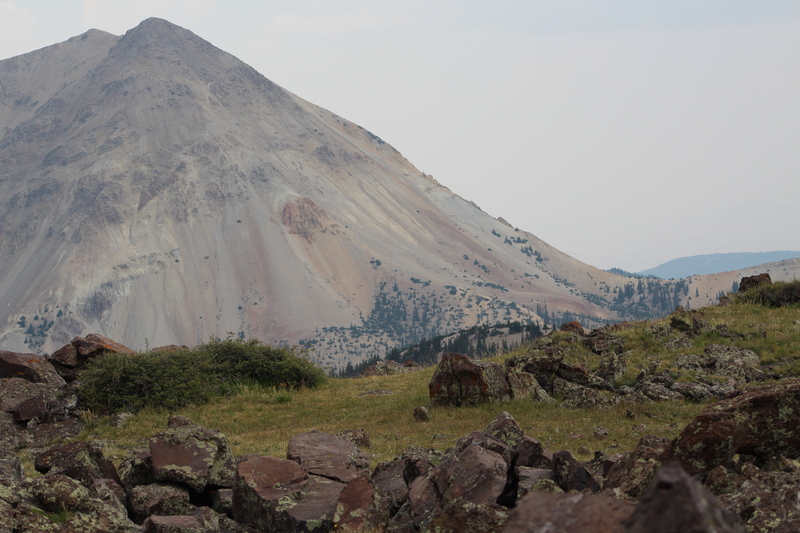 The Beaver Mountain is located in the gorgeous Fishlake National Forest. Fitly so, it’s situated in the Tushar Mountain range in Beaver, Piute, Sevier, Garfield, and Iron Counties here in Utah. I’m used to going on Beaver Mountain from the little town of Junction over in Piute County. This time, however, we went in from the town of Beaver side of the mountain. How beautiful…You definitely want to take a camera and take the time to check out the rushing mountain stream running along side the road. Take your shoes off to enjoy a quick toe dip in the water, or just relax from the sounds! 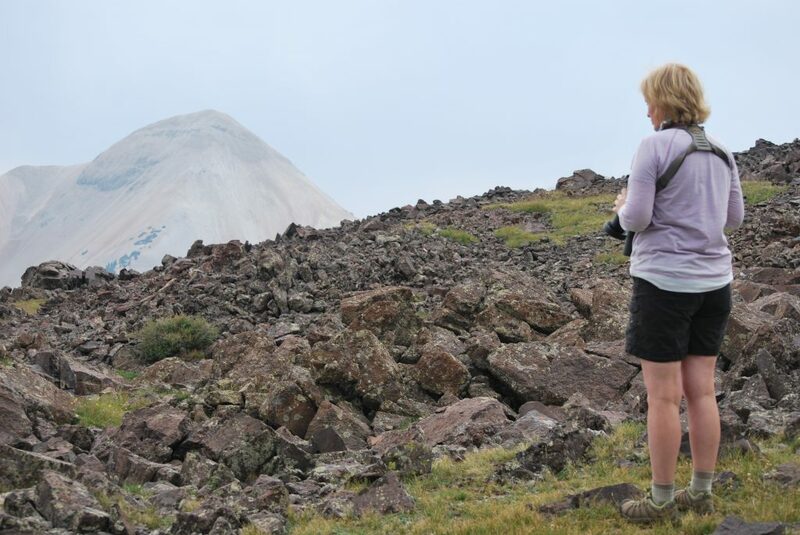 You will see some stellar rock formations, and lots of trees including the beautiful Ponderosa pines, aspens, firs and spruce. The Parade of Wildlife Begins! Keep an eye out when on the mountain, literally, for anything that moves. If the weather allows, roll down your window, and be sure to listen. 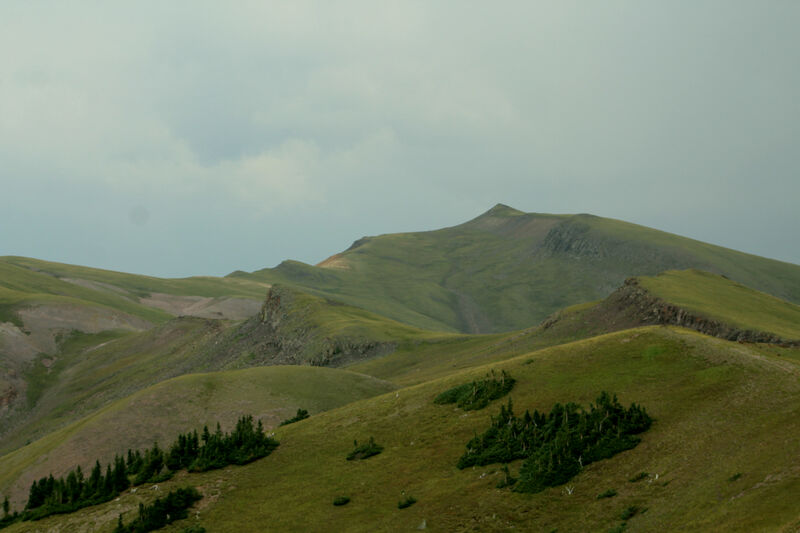 As you slowly drive the twisting, turning, (sometimes rocky washboard road up to 11,000 feet) you might catch a glimpse of…well, here is what happened to me when I did just that! I was on the right side of the truck with the window down. Whenever you encounter small to medium sized rocks on the side of the dirt road…pay attention! Didn’t take long before the parade began. Looking out the window of the truck, there they were! What a cute little chipmunk? Squirrel? 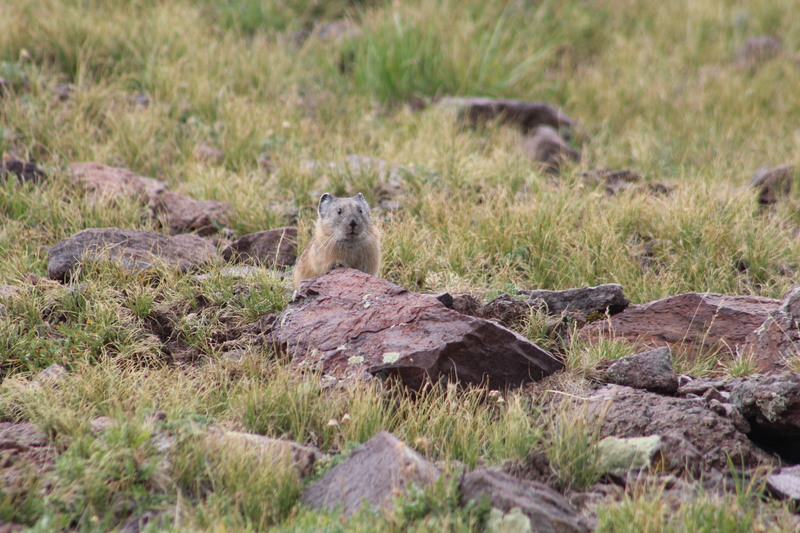 It looks like the Golden-manteled Ground Squirrel… on the Beaver Mountain in the Tushar Mountain range. It briefly peaked out of the gap between the rocks before darting quickly back between them. 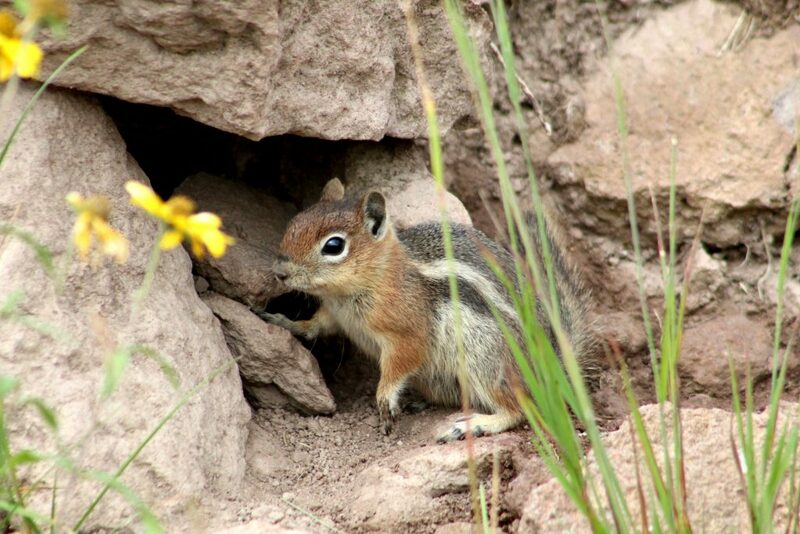 Not much further down the dirt road was a chipmunk, which appears to be the Cliff Chipmunk, eating some flowers. Was lucky to even spot this beauty! 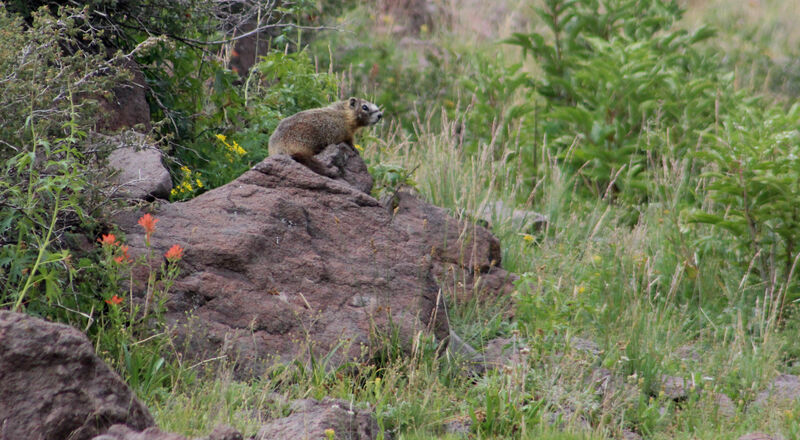 The Yellow-bellied Marmot was basking on the rock by the flowers. They love to eat flowers. Whenever you see lots of rocks with flowers accompanying them, look for Marmots! Keeping an eye out for the Mountain Goats, led to spotting all sorts of wildlife. 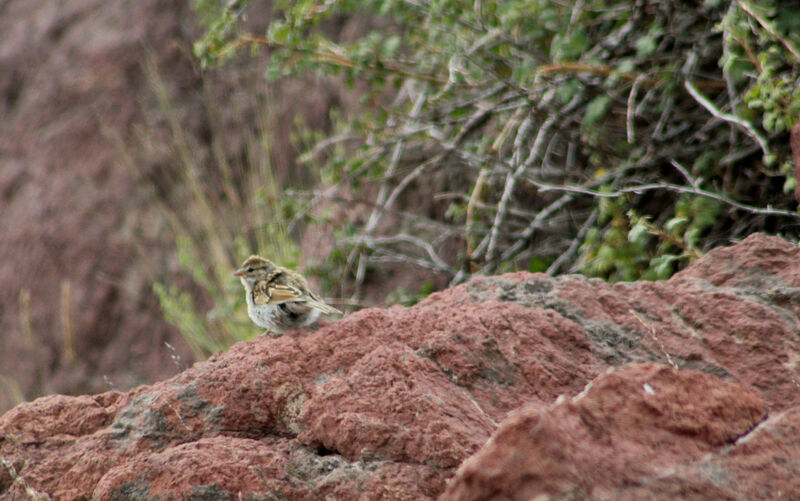 This beautiful sparrow appeared atop a rock. Not sure what kind of sparrow this is, but it was fluffed out due to the 56 degree temperature. 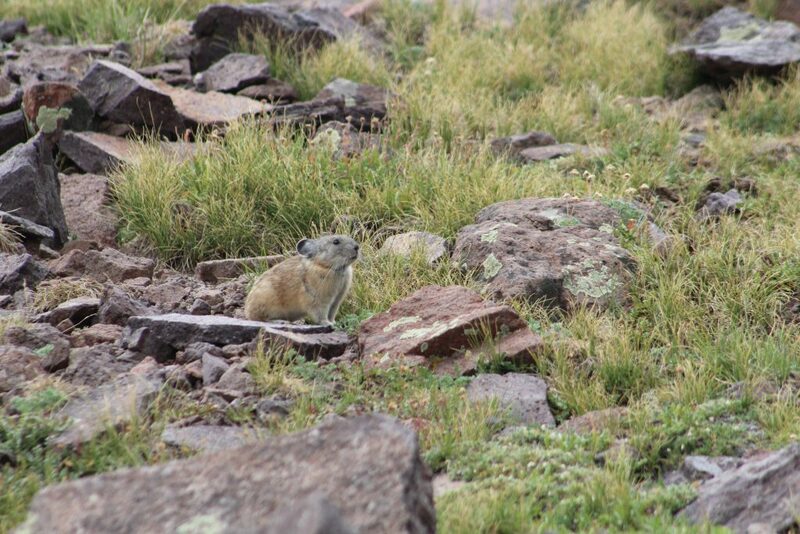 Falling in Love with a Rodent –the American Pika! Looking on the absolutely kelly green colored peaks for Mountain Goats, will make you just go “WOW!” The perfect looking emerald grass is just breathtaking. It doesn’t look like even the first weed is growing there. The north face of Mount Delano, the tallest peak in the Tushar Mountain range — sitting high at 12, 175 feet. This was HANDS DOWN for me in my top 10 of the most breath taking views I have ever seen. I hope one day to stand on the very top of Mount Delano! The immense expanse of all this perfectly looking grass is mind-blowing. It looks like an oil painting in a gallery of the outdoors while you are looking at it…painted by nature herself. Riding along, we stopped along a cliff to take in the view. (This is the point you need to pay attention here.) As I got out of the truck, I observed a large amount of dark colored rocks with small flowers present…ding ding ding ding ding!!! Look in one spot on the rocks for a minute. Pay attention to ANY movement, and you will be surprised what you see! 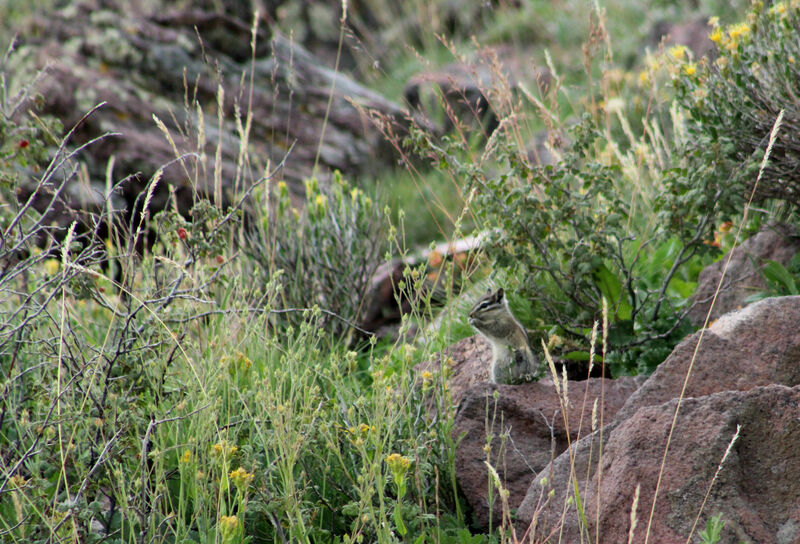 Meet my new love…the American Pika! Trying to watch the American Pika as it scoots about on the rocks. Mount Belnap is in the background. Photo by Chad Price. The American Pika is a unique mammal. It is becoming a “canary in the coal mine,” in other words, an indicator species regarding climate change. This means any change regarding them alerts scientists to take notes about the changes in the Pika’s biological ecosystem. Since this area is in the Great Basin area, there has not been the amount of snowfall this past winter that normally is present there. 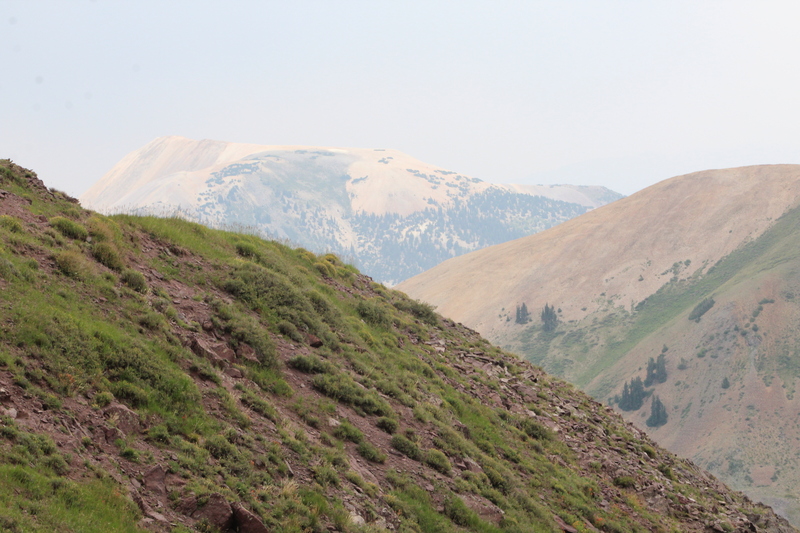 Also across from where the American Pika lives is the second tallest mountain in the Tushar Mountain range — Mount Baldy, sitting at 12,122 feet. The American Pika lives in some VERY rugged territory and ONLY at this altitude in this type of only live in this type of environment. This is a talus environment — talus is the accumulation of broken rocks at the base of cliffs or steep slopes.. Hearing it let out its call of “eeeeee” was the cutest animal sound I have ever heard. You would love it, too! The Pika can move extremely fast. It’s like someone speeded up the scene in front of you real-time! They collect grasses, flowers, plant materials to eat, and line their home they live in during the long cold winter. Due to the fragile environment there, the food chain is a short one in this alpine habitat. “Delicate” is the word. A front view of the American Pika. No one wants to be THE symbol for climate change, but the American Pika is disappearing. Already, they are gone from one third of their places in Nevada and Utah. As temperatures continue to rise, the American Pika has no where higher to go…It is already as high as it can go. Climate change, vegetation, predators, and a lack of adequate snowfall can be its demise. Pikas are in the order of Lagamorpha (hares/rabbits and pikas) and one of the North America’s toughest mammals. Why? Because they are one of the few mammals that exist their whole lives in the harsh environment above the treelines at this high altitude. Interesting note, they take flowers and grasses and let them dry in the sun to store in their homes for the winter to eat. It keeps the plant material from getting moldy. American Pika looking over its territory. 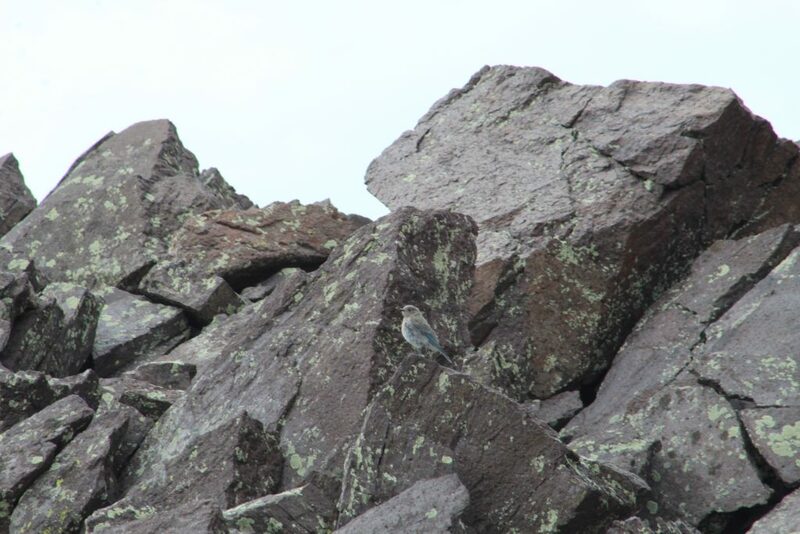 While I was watching the American Pika, a Mountain Bluebird distracted me with its brilliant blue feathers as it landed on the peak of a rock. Regardless of all the excitement with the other wildlife I saw, we finally saw some Mountain Goats. The goats would have probably been much more visible on the other side of the grassy Mount Delano, but nevertheless, we were glad to see these. The use of a scope on a tripod helped us to zoom in much closer than this photo I took. 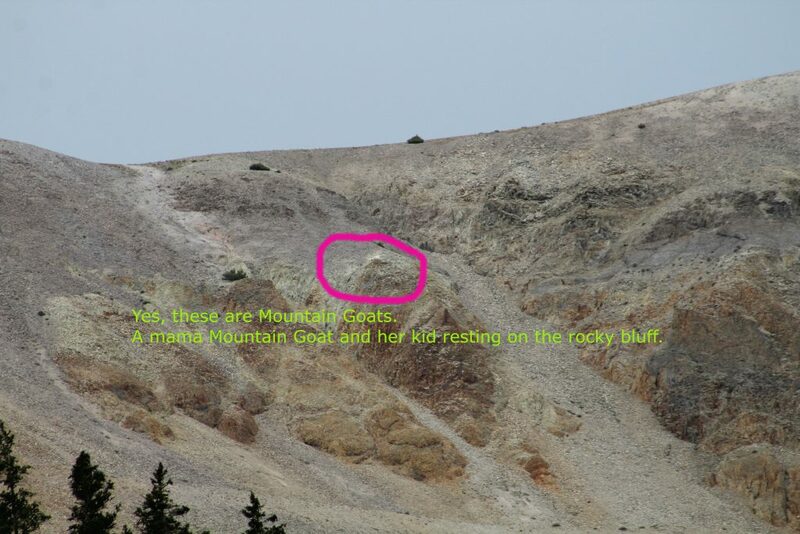 The rocky shale bluff was a wonderful place for the Mountain Goat mom and her kid to take a break. You have to see it to believe it…This was truly an experience to be in the presence of such tall mountains, such unique and beautiful creatures, and the taking in of this exquisite vista. Hope to go back again and scale to the summit of Mount Delano and see the herd of Mountain Goats before the winter sets in here. Remember, look in one place for a few minutes and look for any movement, and you too will have a wonderful trip on the Beaver Mountain in the Tushars! To encourage you to enjoy and learn the birds that live and migrate into your area, and acquaint you with other living things birds live with in their environment.